Set to sail in 2019, the ship's success could encourage other companies to power their fleets with renewable energy. In 2019 the world’s first solar energy sails will be put to the test. Called EnergySails, the technology should enable ships to use both solar and wind energy at the same time. 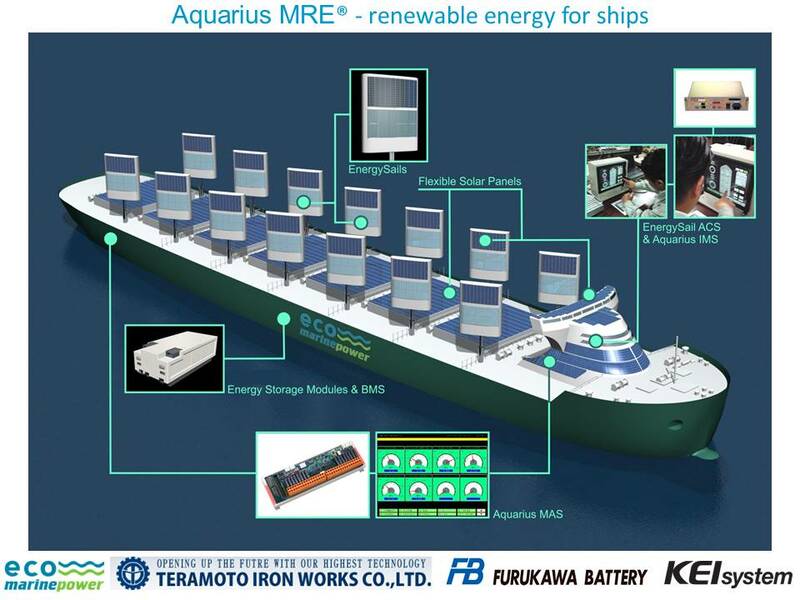 The sails were developed by Japanese renewable energy systems company Eco Marine Power (EMP) as part of a larger project known as Aquarius Marine Renewable Energy. EMP is working on alongside other strategic partners and Japanese ship owner Hisafuku Kisen K.K to equip bulk carrier ships with the technology that, according to EMP, is an “advanced integrated system of rigid sails, marine-grade solar panels, energy storage modules, and marine computers.” EMP said the its project will enable ships to tap into renewable energy by harnessing the power provided by the wind and sun. The EnergySails themselves will also help ships collect and store energy even while docked. NewAtlas reported that the sails — made of carbon fiber or steel — can also be stored during rough weather conditions. EMP is currently conducting feasibility tests on multiple ships in Hisafuku Kisen’s fleet. The collaboration hopes to estimate how much propulsion an EnergySail system could provide to the ships while also accounting for how much solar power the on-board panels would receive on each individual ship’s route. Once the testing is over, one ship from the fleet will be chosen for a 12 to 18 month trial. The selected ship will be fitted with an array of EnergySails, solar panels on deck, and the hardware necessary to monitor and control every part of the system. Concept image of a ship outfitted with the Aquarius MRE system. Image Credit: Eco Marine Power. But it isn’t clear yet what Hisafuku Kisen’s EnergySail-equipped ships will be hauling. In December 2017, China launched a world-first electric cargo ship, but ironically the clean-powered vessel is ferrying coal — the very material that prompted a shift to electric power in the first place. Hopefully EMP and Hisafuku Kisen’s wind and solar powered ships will not follow suit. Can Molten Salt Make 24-Hour Solar Energy Possible?